There is a lot to think about when a company is moving to a new space. You plan the physical move—getting all your people and things safely from Point A to Point B, but what happens when you get to Point B? Are all the right hardware, software, network, and furniture solutions in place so your teams can be productive? Don’t wait after you’ve made the move to consider audiovisual technology design and installation. If you include these in your planning, you can save a lot of headache—and money—down the road. If you’ve inherited AV responsibilities as part of a larger renovation or relocation, here are some common pitfalls to be aware of and the best ways to avoid or resolve them. If you put off communication, collaboration, and/or AV networking considerations until a space is already designed or built out, you could be in for some nasty—and costly—surprises. 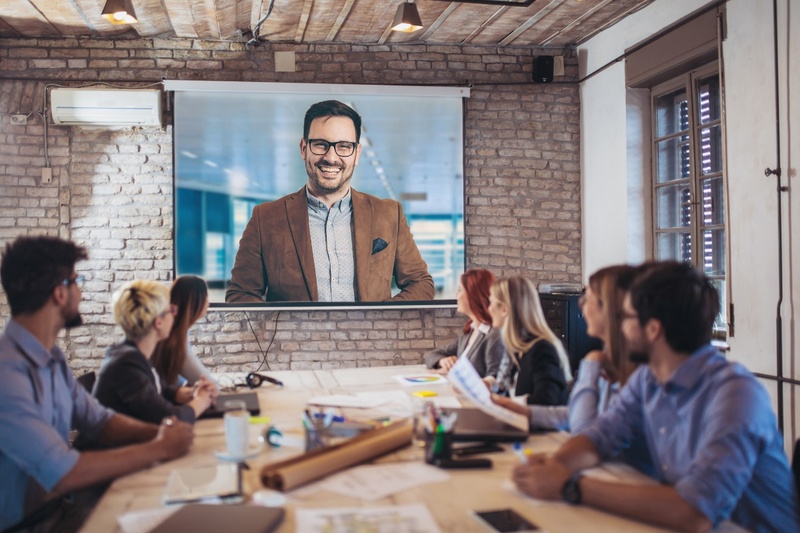 You might discover, for example, that your meeting rooms are not wired properly for the AV solutions you need, or that your existing video conferencing displays, for example, are the wrong size for the new spaces. A DIY AV system might seem like a cost-effective solution, but it carries risks. You could overspend on a system with more than you need, or underspend on a system that doesn’t have the functionalities users expect. An integrated AV system also requires more than choosing your favorite tools and plugging them in. All your solutions should work together as a whole and be easy and intuitive enough for anyone in the organization to use. An optimized AV system requires foresight, planning, and expertise from the beginning. Working with an AV integrator from the outset of your project can help you avoid these pitfalls—and what you pay for an integrator will likely be significantly less than what it costs to manage and fix these mistakes. An experienced integrator can help you determine which capabilities your organization needs and ensure your space is designed to optimize your AV solutions. AV integrators understand IT infrastructure and can design solutions for any industry or budget. Don’t let an upcoming relocation stress you out. Our technology moving guide includes a moving schedule and checklist as well as an outline of steps for budgeting and preparing for the audio and video needs of your new space. You can also get in touch with one of our certified AV integrators to start planning your move today. Download the guide.